One short month before the Dallas Police Choir started it’s annual holiday tour, Ryan, one of the members, called asking for help with the website he had pulled together through one of the major website builders. He needed a simple site to use as a landing page to provide more details as the tour got closer. Eventually he wanted to advertise their gear and accept donations. After careful discussion about the immediate goal and learning about the future aspirations, it was determined that a customized template may be a little easier to use for their purposes. Quickly, Ryan turned over a lot of pictures, the schedule and contact information. 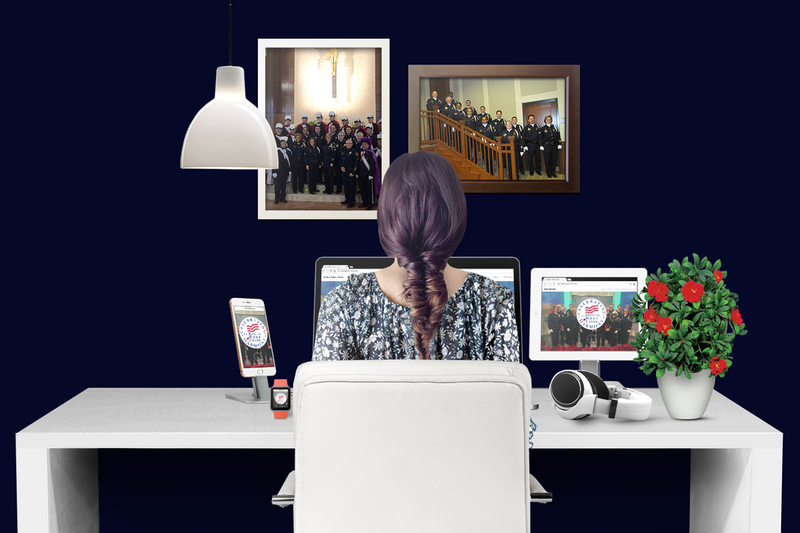 Before we knew it, a one-page, fully responsive website was viewable to the public that showcased, not only the schedule, but the choir’s distinct talents and an easy way to get in touch. As we focus on the next goal, the Dallas Police Choir will be incorporating their PayPal donation buttons and a mini shop to help the organization earn money from the sale of their CDs, buttons and stickers.